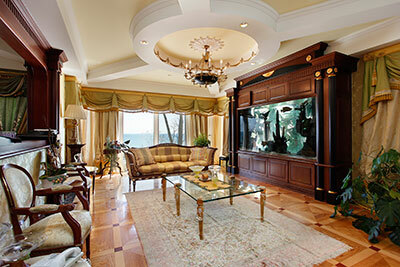 Water damage is a common malady that affects the fabrics of rugs, even those that are used for decorative purposes. Moisture can quickly wreak havoc on the fine fabrics of an Oriental rug, turning them into a breeding area for fungus and bacteria and threatening to cause illnesses and infections. 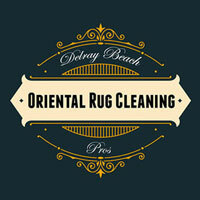 We take water damage restoration on every fine rug we work on very seriously. First, we thoroughly inspect the amount of damage caused to the rug – rugs made from natural fibers like cotton, camel hair or silk sustain more damage than those made from synthetic materials like polyester, and Oriental rugs almost always fall into the former category. 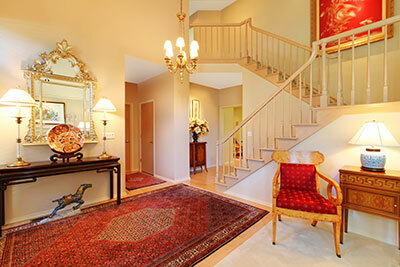 Not to worry, however, as we can restore even the most damaged specialty rug with ease. In cases where there is significant soaking, all of the water is extracted using heavy-duty vacuuming machines that are not harsh on the surface of the rug. In cases where there is padding present, we will remove it to dry and clean the underlay or replace it. The next step is to apply an anti-microbial agent to get rid of any moisture that could be causing mold, spores and bacteria to grow and to ensure that the rug is fresh and clean by the time we return it to the owner – needless to say, the chemicals we use here are environmentally-friendly and won't cause any damage to your rug or the padding. Later, the rug is dried with the help of high-speed fans as well as dehumidifiers that guarantee the rug's cleanliness by the time we return it to your doorstep. Owners of expensive rugs have little to look forward to during rainy weather – rain drags mud through the house, which quickly makes any rug dirty and sometimes leads to flooding, which can cause water damage. Treating a case of rug water damage involves handling the immediate effects, of course, but also equipping the rug in a way that allows it to deal with future incidents. Rain water, and any water that stays inside a rug's fabric for a long time, causes damage to its color, durability, and shape. It also causes the flooring underneath the rug lose its polish, which is why we like to think beyond addressing the rug. Our experts will always suggest getting a rug pad if your home suffers from persistent moisture or if there is a high likelihood of unattended spills. Some of the reasons have to do with water damage, while others have a generally beneficial nature – there are a lot of ways in which an extra piece of padding installed under your expensive rugs will save not only the fabric but also the floors from extensive water damage. Any other issue that occurs with a rug due to water exposure. Likewise, our specialists are equipped to deal with water damage caused by water of any degree of pollution, including water that could be hazardous to one's health. In these cases, we will not only restore the rug from damage but also clean it inside and out so that any contact with it is a safe one. It's time to start overlooking the effect that water might have had on your expensive rug – the longer you wait, the harder it will be to treat, and it's best to give us a call as soon as the moisture hits the fabric. If our response is a delayed one, don't worry – we will restore your rug just the same, picking it up and delivering it to your doorstep in short order.